Living in a country with tropical weather, has many advantages. One of which is that it feels like summer most of the time, allowing us to enjoy some valuable vacation time in our island's beautiful beaches. But along with the warm weather that we enjoy, is also the need to go inside and take refuge in our homes to cool down our bodies with the help of air-conditioning. Exposure to the sun dries up our skin, but did you know that we also lose our body's moisture and natural oils by exposing it to cool air that also dries out our skin, oftentimes resulting to cracked skin. In fact, in a recent poll, 57% of women in Cosmopolitan Philippines revealed that women do not think that air conditioning causes skin to dry. This summer, whether you're basking under the glorious sun or cooling down in an air-conditioned room, your skin needs longer lasting moisture. Unfortunately, your everyday beauty bar just might not be able to do the job. In the recent #MoistureThatLasts Press event and Consumer Swap, Olay Ambassador, Bea Alonzo shares that she keeps her skin moisturized with The New Olay Body Wash Moisture Outlast Collection. It's new formula is composed of powerful active moisturizers that penetrate skin layer by layer unlike beauty bars and other body washes. 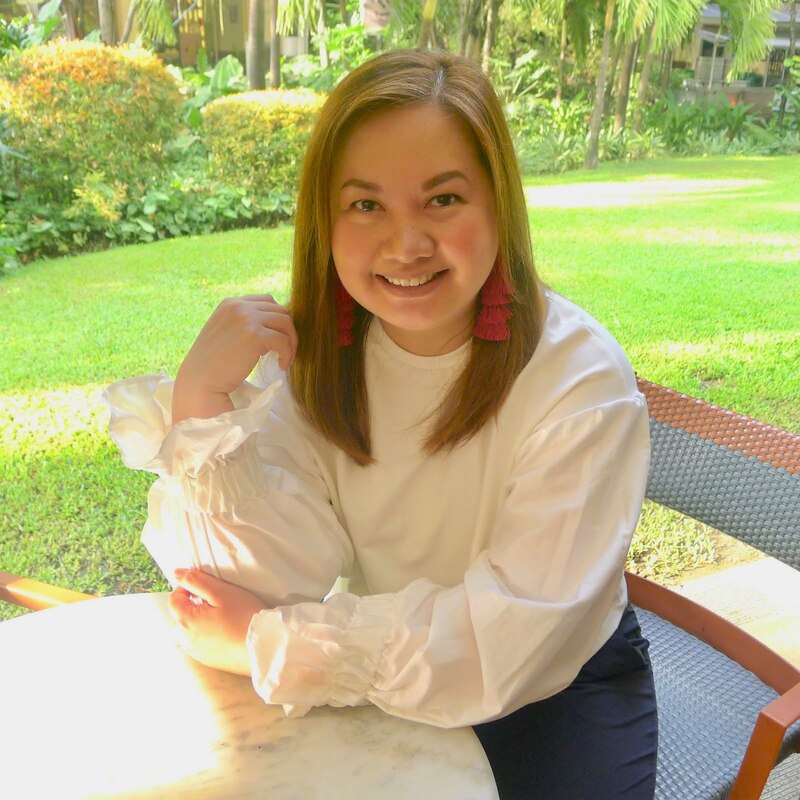 She also shares that The New Olay Body Wash effectively moisturizes without leaving the skin feeling greasy, making it the perfect beauty companion this summer and all year round! Consumers were also asked to try Olay's swap machine (a giant air-conditioner) during the event where they can swap their non-P&G soaps for a bottle of the New Olay Body Wash Moisture Outlast Collection. How cool! Deep Moisture with Honey (200ml & 400ml), Clean Moisture with Coconut Milk (200ml), Whitening Moisture with Pearl Extract (200ml), Refreshing Cucumber and Green Tea (400ml), Cooling White Strawberry & Mint (400ml) and Sensitive with Chamomile (200ml). SRP for 200ml is Php 110.00 and for 400ml is Php 199.00. Whether you're having fun at the beach or in an air-conditioned space, keep your skin moisturized and protected from the drying effects of the sun and air-conditioning. 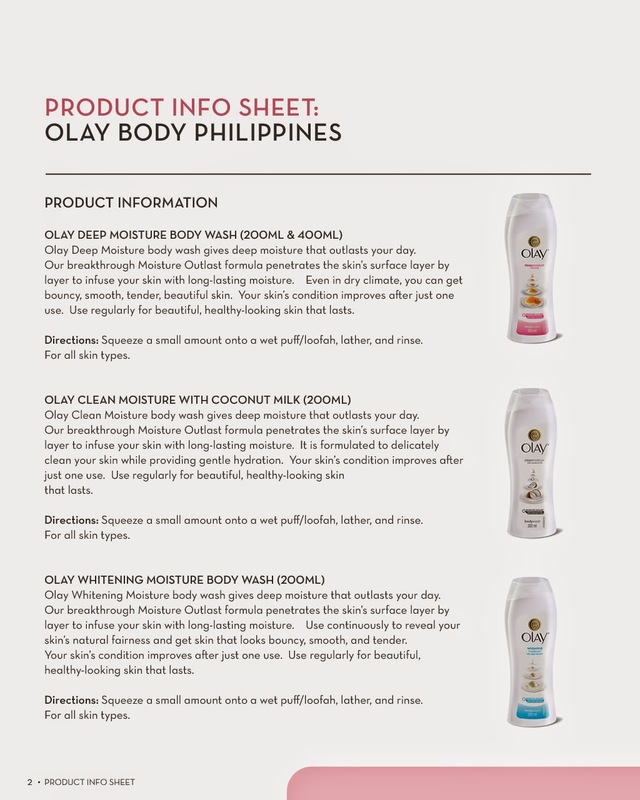 Experience #MoistureThatLasts with The New Olay Body Wash Moisture Outlast Collection! 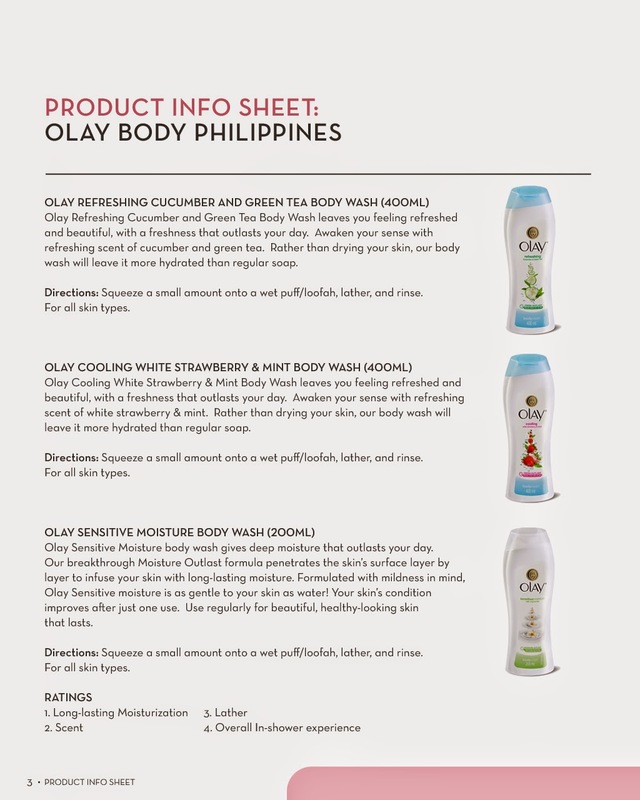 The new line of Olay Body Wash is available in leading supermarkets, drugstores and department stores nationwide.